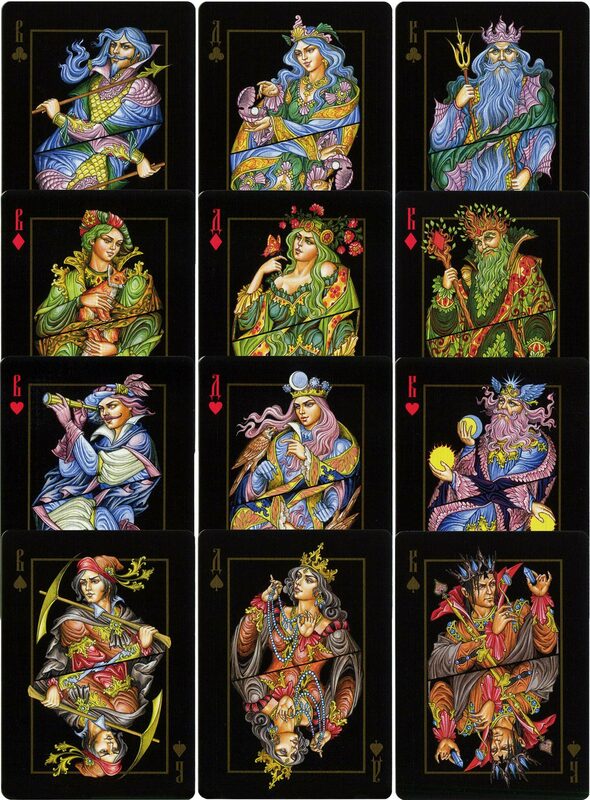 The Four Worlds playing cards by artist Aleksey Zhiryakov in the stylistic traditions of Palekh, with bright colors painted over a black background. This is a joint project by the Russian Playing Card Society and Jokercards , 2018. 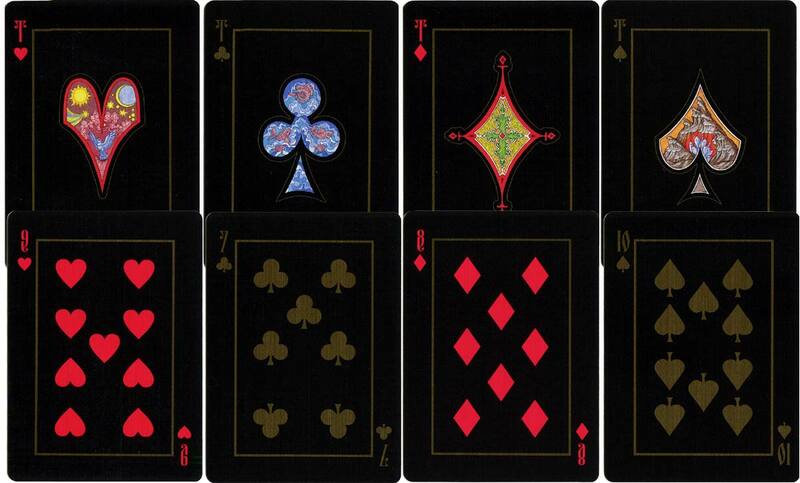 The suit of clubs are Water World; diamonds are the World of Nature; hearts are Sky World and spades are Mountain World. 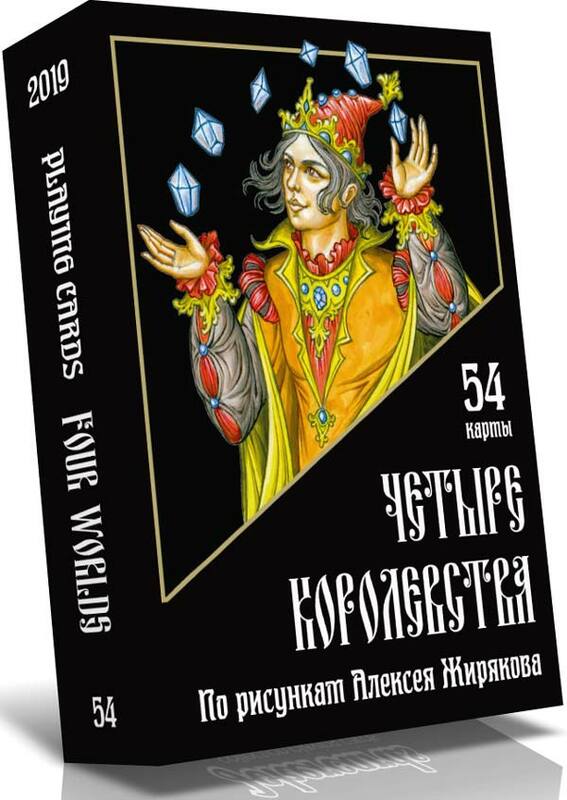 Above: The Four Worlds playing cards by artist Aleksey Zhiryakov, 2018. 52 cards, 2 jokers and one extra card in box. Printed on Linen Finish art paper, 300 gsm.